Video game adaptations are nothing new for Hollywood, so much so that even Tomb Raider has had two previous iterations to speak of. In this latest incarnation, Alicia Vikander assumes the role of Lara Croft, once played by Angelina Jolie. Whereas Angelina’s Lara exuded charisma and cheekiness, Alicia’s take is a good deal more serious, focusing on her physicality and survival instincts. Unfortunately, her performance is charmless, and – along with the rest of the cast – just terribly flat, leaving Tomb Raider an IP that was best left buried. Tonally, Tomb Raider is all over the place. At first, it emanates a cocky, millennial vibe, portraying Lara as a street-smart, free-wheeling bicycle courier and occasional, inner-city boxer: She’s stubborn, headstrong and the heir to a vast business fortune she refuses to accept, haunted as she is by the mysterious disappearance of her father. Then one day an associate of her father, played by an underused Kristin Scott Thomas, hands Lara some of her father’s assets, through which she discovers clues to his whereabouts, along with a supernatural conspiracy that threatens the entire world. So naturally, she embarks on a daring mission to find him. Eventually she tracks her father down to a mythical, lost island, from where Tomb Raider switches into more standard, albeit cartoonish, action fare. There she comes across Walton Goggin’s villainous Mathias Vogel, a slimy and nefarious corporate henchmen, in the typical Walter Goggins mould. Of course, Lara’s father is alive, this is not a spoiler; and Dominic West in the role is completely at a loss as to what to do with the stunted dialogue and dense exposition that weighs down the first half of the movie. In the final third the action does pick up as a tomb is finally raided. Sadly, this isn’t enough to wash away the memory of its laboured opening hour, but there is at least some solid entertainment to be had. The ending is a clear setup for a sequel, one which I can only assume will never happen. 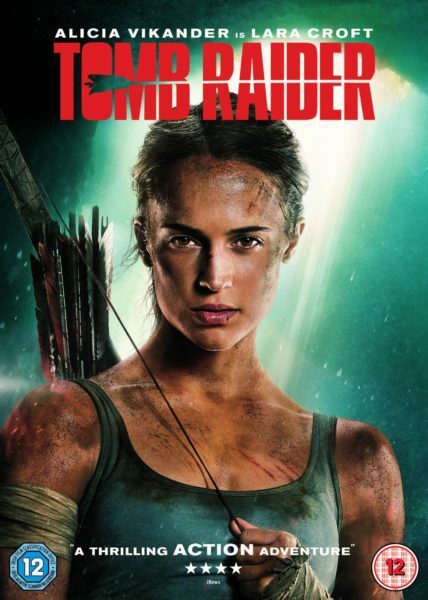 So, if you are looking for a genuinely good Tomb Raider story, try the original Angelina Jolie one, or perhaps even the 2013 Tomb Raider video game on which this is based – it’s actually got less exposition, better dialogue and a good deal more action. This entry was posted on Tuesday, July 24th, 2018 at 7:53 am	and is filed under Features, Film, Review.